In July 1949, Louie Eckelkamp opened a new fire proof building. 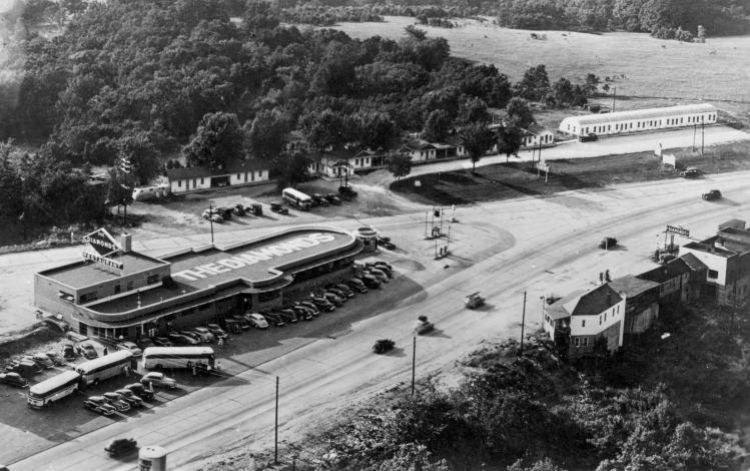 It was designed by Frank Hayden, and consisted of restaurant, coffee shop, cafeteria, curio shop, drive-in café, bus ticket office, travel bureau, popcorn stand, and filling station. About 70 buses stopped here every day. The Mission Bell Motel was located behind the main building.